Once we decided that Aurelia was going to be Rainbow Dash for Halloween, it was pretty easy to figure out who Corbin should be. After all, there aren’t that many male My Little Pony characters to pick from. 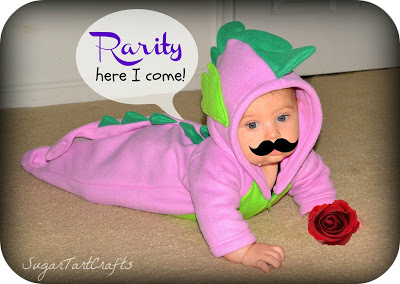 Hooray for adorable baby dragons! 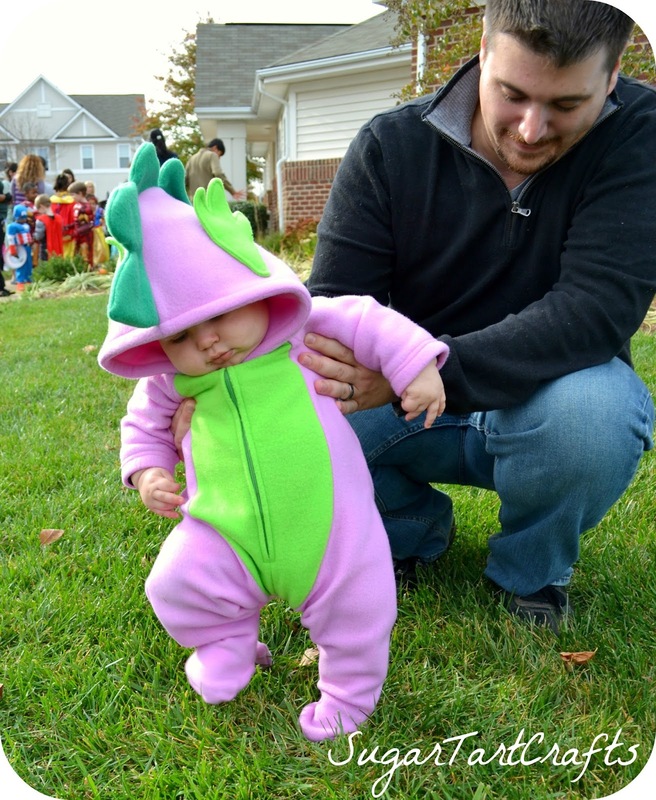 The original plan was that Corbin would be Spike the dragon and I would be Twilight Sparkle since he would need someone to carry him around. Who would be better for the job than his best friend (and the one who hatched him? 🙂 Of course, by the time I was finished putting the finishing touches on their outfits there was no time left to make a costume for myself. Oh well. But aside from my poor time management skills, I think it all turned out just fine. I started with simplicity pattern 1753 as the base for his little one piece because it was just easier than tracing out my own hooded mess. Then I color blocked out the front piece to give him a green tummy, sketched up some free form spikes and a tail to add to the center back seam, and stuck some ears on the hood. Ta Da! 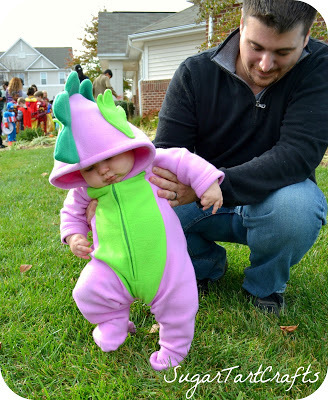 One snugly baby dragon ready for Trick-or-Treating! 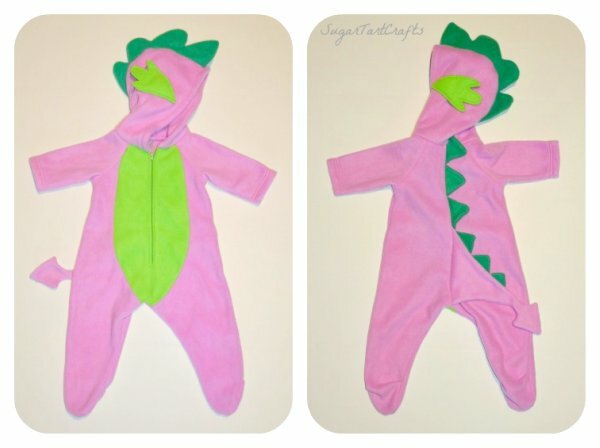 You could easily turn this pattern into a standard dragon/dinosaur costume just by changing the colors of the fleece. The spikes and tail are pretty much just different sized triangles, so it isn’t too hard to add your own. All you have to do is trace the length of the center back seam onto a piece of paper and make your extra pieces fit the length of the line. 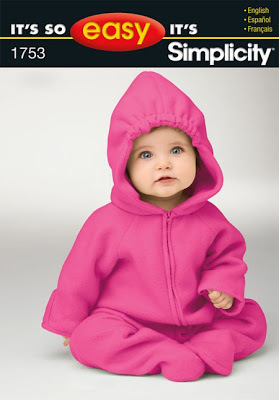 Don’t forget about the seam allowance though! Also, if Corbin was a bit older and able to walk I probably would have added some stuffing to the tail and spikes to make them stick out a bit, but since he was riding in a stroller or sling most of the time leaving it flat worked better for now. Here’s an extra special treat for those of you who have watched the show! Ah Ha Ha Ha Ha Ha Ha…ok I’m done. brilliant! 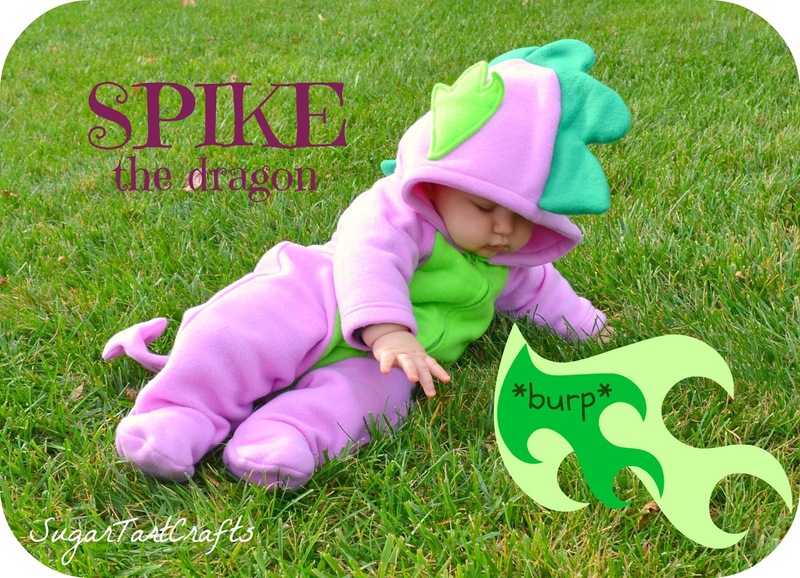 I want to make my son a Spike costume but I couldn't figure out the best way to do it. Thank you! You're welcome Nicole. I really hope you'll share a picture of your version if you make one! This is amazing! My daughters are obsessed with My Little Pony and want their baby brother to be Spike. Sadly, I don't sew. Haha, I feel like EVERY little girl is obsessed with My Little Ponies! If you already have a sewing machine, (no idea why I feel like every house must. 😉 I'm hosting a pony costume sew along next week that will walk you through everything. But if you're firmly in the non-sewing camp I've also just opened an Etsy shop for them. (link in sidebar) Spike isn't listed just yet, but if you sent me a message I'd be happy to make one. They're just too cute! Did you sell his Spike costume? Hi there, I didn't sell this particular outfit, but if you'd like your own version you can send me an e-mail (Sugar_Tart@hotmail) or contact me through my new Etsy shop. Thank you so much for the pony tutorials…My daughter wants to be twilight sparkle and her brother to be spike. I was wondering what color fleece you used for Spike's body. Hi Jennifer, This might sound strange, but I used the same color (Berry from Hancock Fabrics) for both Twilight and Spike. They have a bit of trouble with their dye lots sometimes, and there could be three different shades that all have the same label on them. Unfortunately it's bit of a hit or miss kinda deal, so I just check their stock regularly and grab it when it shows up. Sorry, I sure wish they were more consistent.